Bird Id - Forum - Identifying Birds - Identify Bird Seen In Sao Vicente, Cape Verde, Mid September. 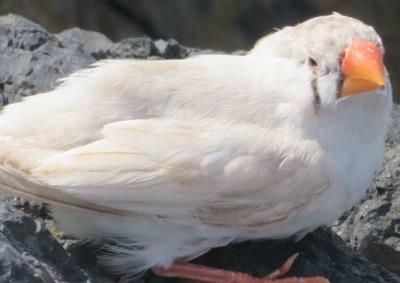 Forum > Identifying Birds > Identify Bird Seen In Sao Vicente, Cape Verde, Mid September. Saw this little bird in Sao Vicente, Cape Verde. Mid September. On some rocks by the sea. Despite the white plumage this is in fact a variant of Zebra Finch.